By now, you have read the courageous story of Tina and her personal journey with grief. If you haven’t, you can find her story HERE. Tina’s story is a testament to the positive impact that Comfort Zone has on the youth and families we serve. When you support Comfort Zone, you are helping create incredible stories of resilience, strength and connection just like Tina’s. Join Tina today in supporting the mission of Comfort Zone to empower children experiencing grief to fully realize their capacity to heal, grow, and lead more fulfilling lives. Your support is needed more than ever to help children and families be the author of their own grief journey. 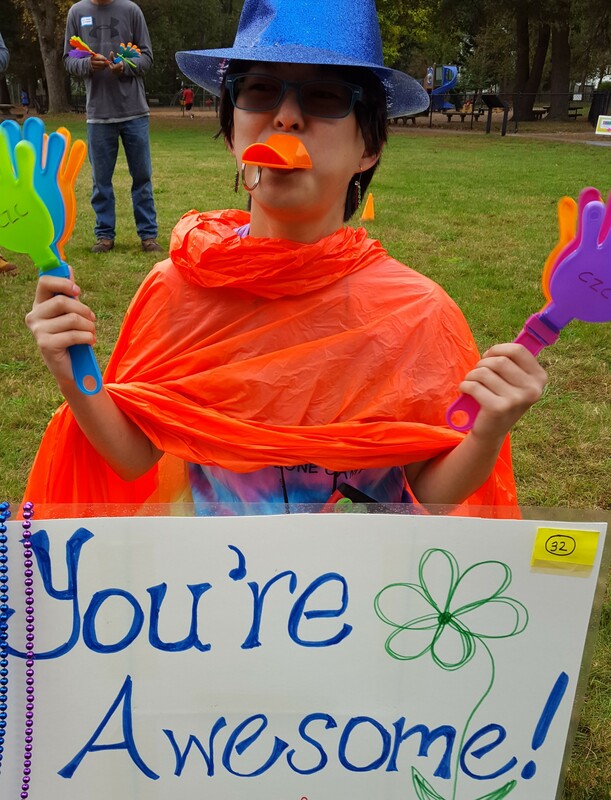 ….And don’t forget that Tina thinks you’re awesome! - none - Mrs. Ms. Mr. Dr. Mr. and Mrs. Dr. and Mrs. Rev. The first name of the individual to whom you would like an acknowledgement sent. The last name of the individual to whom you would like an acknowledgement sent.